Declaring that contractor employees now outnumber federal workers, Sen. Claire McCaskill, D-Mo., on Tuesday sought to marshal arguments for "cleaning up the patchwork" of whistleblower-related laws and advancing a bill (S 241) to extend whistleblower protections to employees working under federal contracts. "Whistleblowers make a difference time and again," said McCaskill, citing revelations of mishandling of military remains at Arlington Cemetery and Dover Air Force Base. "Someone who worked there told someone," she said at a hearing of the Senate Homeland Security and Governmental Affairs Subcommittee on Contracting Oversight. "But a whistleblower who works for a contractor doesn't have the same protections." Sen. Rob Portman, R-Ohio, noted that with "half a trillion dollars a year, or 15 percent of the budget," being spent on contractors, it is time to rethink the 19 current laws. "Whistleblowers are the eyes and ears of all of us, and are a vital communications link between daily program managers and those in Congress responsible for oversight," he said. The Non-Federal Employee Whistleblower Protection Act, introduced by McCaskill and Sen. Jim Webb, D-Va., is modeled after the data transparency provisions in the 2009 Recovery Act, which covered contractor employees. It also would expand the scope of covered disclosures, allow for protected disclosures to be made to employers and provide a shield against retaliation. Such an expansion of protections could help the inspectors general community, testified Peg Gustafson, IG for the Small Business Administration who chairs the IG council's legislative committee. "The IG community is too small to do without whistleblowers," she said. A survey of IGs, however, revealed some concerns that their offices maintain discretion in husbanding resources rather than being mandated to follow up on whistleblower complaints that don't appear promising, particularly within a prescribed time frame. "An additional area of concern is a requirement that IGs disclose pending investigations of a whistleblower's reprisal complaint to the whistleblower's employer," Gustafson said. "Such disclosure requirements could jeopardize the ability to obtain accurate information for the investigation. Efforts to provide IGs with greater discretion on whether to disclose an investigation to the employer would likely assist OIG investigatory efforts." 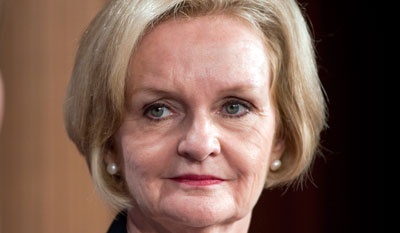 McCaskill asked whether the absence of an IG follow-up to a complaint meant a loss of public accountability. Gustafson replied that IGs report their decisions in their semiannual reports and remind whistleblowers that they have the right to take their case to court. Marguerite Garrison, the Defense Department's deputy inspector general for administrative investigations, described the valuable contributions of whistleblowers since Pentagon contractors were given protections in 2008. Complaints about reprisals against whistleblowers have grown, she noted, but in far greater numbers within the military than among civilian contractors, largely because "we've done a great job of advising our military of their protections, and I'm not sure contractors are as well-informed." But she noted limits to the policy -- protections do not cover contactor employees who first report wrongdoing to their company managers rather than the government; they don't prevent actions against employees directed by government officials; and they do not extend to subcontractors "who may be well-positioned to report waste, fraud or abuse to the government, protection from reprisal," Garrison said. "This stands in contrast to other private sector whistleblower protection statutes, such as the Sarbanes-Oxley Act." Also testifying at the hearing was whistleblower Walter Tamosaitis, who in 2010 was abruptly terminated in from his job as research and technology manager for the nuclear waste treatment plant project in Hanford, Wash., a $500 million contract overseen by Bechtel Corp. He said his firing came after he had raised safety and technical issues, and he has spent the past 16 months collecting a salary while confined to a basement office with little to no meaningful work and essentially no contact" with management. "Even though it ruined my career, I would do it again," he said, noting that his case is in the courts. McCaskill said Tamosaitis is a "walking billboard for other employees to keep their mouths shut, don't say anything or you'll be banished to the basement." Asked for a response, spokesman Jason Bohne said Bechtel is contesting Tamosaitis' retaliation claim and all related allegations of wrongdoing. "At the waste treatment plant, we expect everyone to identify and raise issues," he said. "We have not and will not tolerate retaliation or harassment in any form against anyone who raises issues," he said. "In fact, a recently released report by a team of independent nuclear safety experts confirmed that there is no widespread evidence that there is a chilled atmosphere adverse to safety, or that WTP management suppresses technical dissent." Speaking in strong support of the bill as a needed public statement of whistleblower policy was Angela Canterbury, director of public policy at the nonprofit Project on Government Oversight. "Perhaps the best illustration of how whistleblowers can save taxpayer dollars is the more than $27 billion recovered since 1987 through the hugely successful False Claims Act award program," she said. But POGO recommends several improvements to the bill. They include requiring IGs to list the number of complaints received, investigations to be concluded and a summary of results to be issued; contractors to use wall posters to publicize whistleblower rights; and expansion of incentive rewards available under the False Claims Act. Portman said he was concerned about why more whistleblowers didn't first take their case up the internal channels and worried that, absent a statute of limitations, some whistleblower cases could spill over into other disputes. McCaskill said she wanted to enlist Portman's help with the bill and warned that three other pending Senate bills on whistleblowers, because they exclude contractors, actually "make things worse."